Snagged this comfy Boho-chic bag at a thrift store recently. Love it as the colors are so subtle. Goes with everything! Always check out the hand-bag/tote section at your local thrift-store. You can sometimes find a jewel in the rough! Light blue & tan stripe! My end of summer go to bag! Two pretty thrift-store necklaces. One rhinestone and the other pink pearl. I wear them together. Love to mix gems! The rhinestone necklace was $2.00. 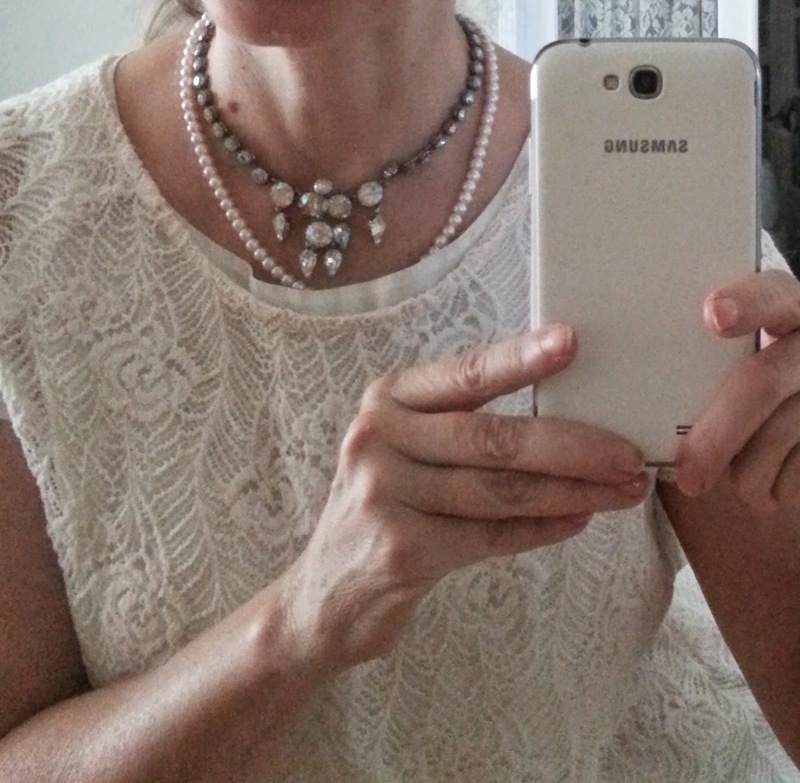 The pink pearl necklace was $1.00. What deals! Thrift store curtains......floating in the breeze! Was sitting in my family room the other day with the windows open. My thrift-store panels were dancing in the breeze. So pretty! "Summer Afternoon"....to me those have always been the two most beautiful words in the English language.